There is a throwback Thursday for you! 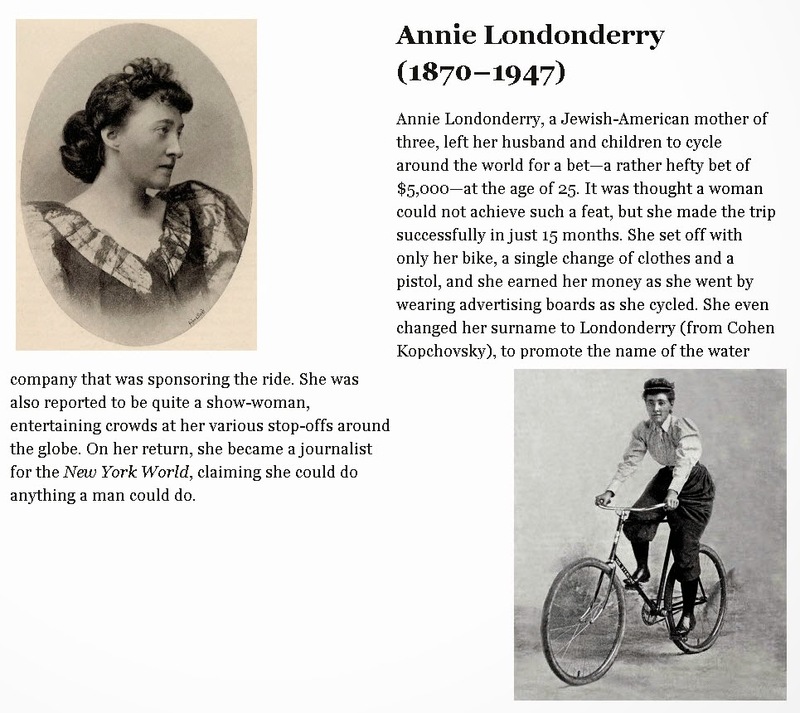 Annie Londonderry successfully cycled around the world at age 25. She only had her bike, a change of clothing and a pistol. This excerpt is from "The Girls' Bicycle Handbook" by Caz Nicklin. Order from Cyclechic and get a signed copy by Caz herself. Sounds like a great gift for that lucky girl - for Christmas or any occassion!! I cannot wait to read this book! And look up Annie Londonderry too! This is a really good read for me. Must agree that you are one of the best bloggers I ever saw. Thanks for posting this informative article. It’s truly a great and helpful piece of information. I’m happy that you simply shared this useful info with us. Please keep us informed like this. Thank you for sharing.